There are interesting and interactive demonstrations taking place over the weekend in the Livestock Building which are great for the whole family! This is an opportunity for you to walk an alpaca in a secure ring. It’s suitable for kids… we select the alpacas to be walked with kids in mind. This demonstration is sponsored by Pootcorners Alpacas and Husky Alpaca Ranch. 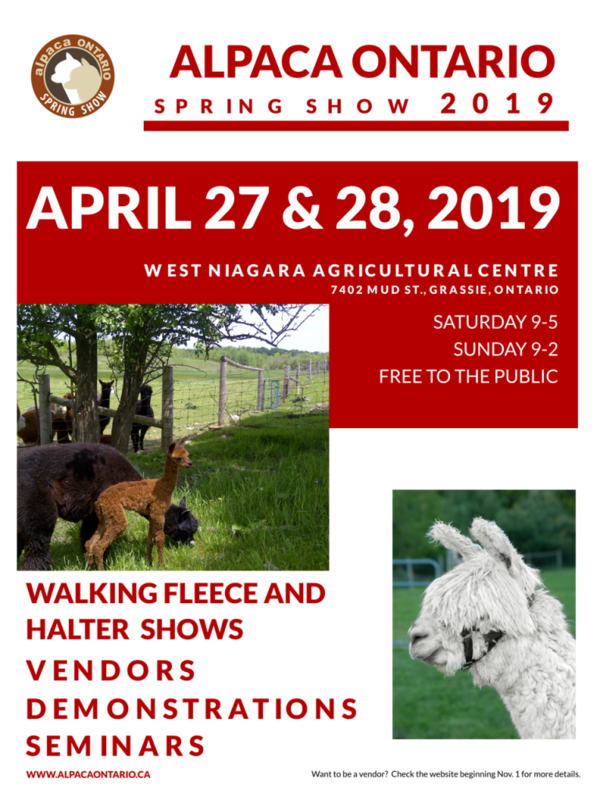 Throughout the weekend Peter Poot and Jerry Kelleher will be demonstrating how alpacas are sheared on a table. Watch and listen as they describe the techniques used in this annual part of alpaca husbandry. Check out the weekend schedule for times. This is the next stage for alpaca fibre after the animal is sheared. 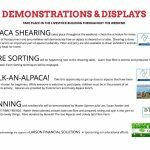 We will be showing how alpaca fibre is assessed and sorted on the farm, in preparation for processing. Nicole from Spontaneous Atelier will be demonstration the art of natural dyeing, using plants and materials found in nature to produce lovely colours to dye the fibre with. These demonstrations will be Saturday, only. There will demonstrations of a needle-felting machine all weekend. You will be able to see how needle felting can take alpaca fibre and turn it into a textile that can be used in many artistic ways. There will be examples of industrial and fashion uses as well as artistic ones. As well, on Saturday there will be demonstrations of 3-D needle-felting, using needles to create cute figures. Cathy Disbrow of Woolly Doodles will be creating her signature critters. Watch as spinners from various guilds and fibre groups spin alpaca fibre into lovely yarn! Feel free to ask questions and learn about this ancient craft which blends artistry with functionality. We will have FibreLux demonstrations where you can watch alpaca fibre be tested for its fineness. Do you have a fibre-related demonstration you would like us to consider including? Contact Melinda at melinda.ramsay@gmail.com for details!